I hit some trails yesterday. We've had some flooding issues, and usually some of these trails are well underwater. 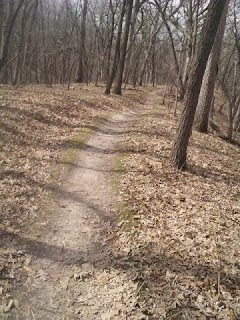 However, yesterday the trails were in good shape. The trails were pretty technical, lots of turns and switchbacks, so it was hard to get an even pace. 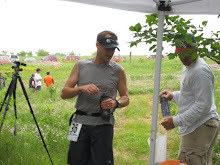 However, the small ups and downs and quick turns are great training for the Afton Trail Run 50k in July. I was out for a total of 1:45 and ran 12 miles. 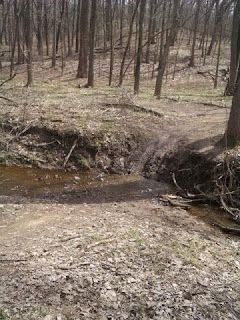 Not a great run, but after Tuesday's hard interval work, I was happy to enjoy the trail running. It was a windy and warm spring day - about 80 degrees and decided to carry water. During the run, I went through 20 oz of water and HEED mix. 3/31 - 12 miles - 6 miles of tech trails. Hey Doug - Enjoyed the recent trail photos. I'm always looking for new trails - do you mind sharing the locations? Hope all is well and look forward to catching up with you on a run soon. Running weather, kids, and the Twins!